Last November, Lempertz in Cologne held a successful sale of 19th century porcelain from the so-called Twinight Collection, amassed from 1994 by the New York businessman Richard Baron Cohen. Now the firm is auctioning a second selection, some 170 lots, as part of the Prussian Sale on April 6. As in the first auction, the focus is on pieces from Berlin, Sèvres and Vienna. 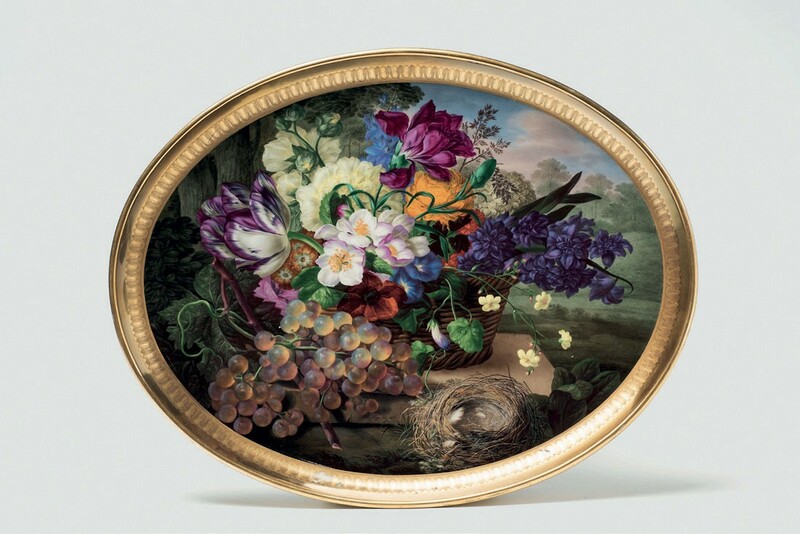 Among the highlights is a 17 x 13in (43 x 33cm) Vienna porcelain tray decorated with a basket of flowers, grapes and a bird’s nest, edged with trompe l’oeil fluting and housed in a gilt wooden frame. The artist is Joseph Nigg, one of the most accomplished floral painters of his day. He had joined the Viennese factory in 1800 and in 1816, the year he decorated the tray, he became head of the flower-painting department. Cohen purchased the tray at a Paris auction in 2007. Along with other pieces from the Twinight Collection, it was exhibited at the Metropolitan Museum of Art in New York and is now estimated at €40,000-60,000. 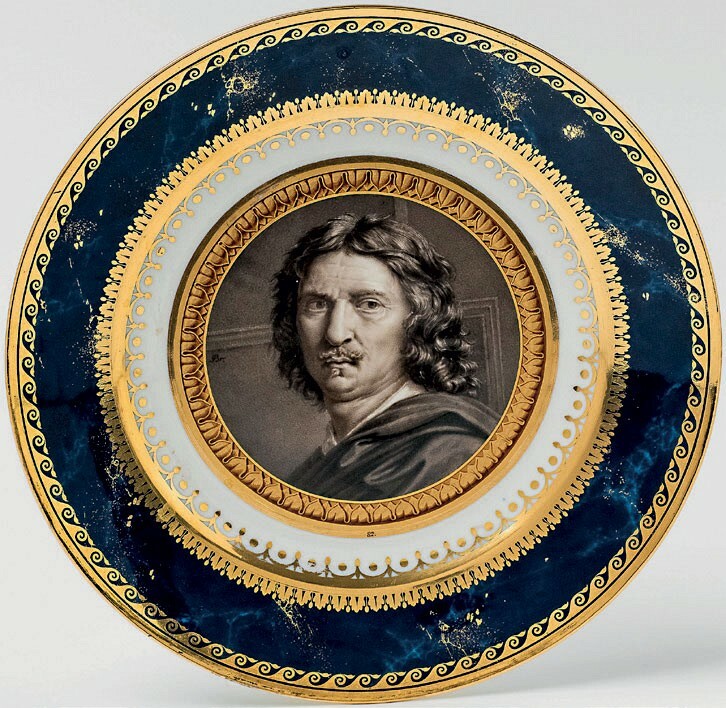 Among the Sèvres included in this second Twinight Collection sale is the early 19th century plate 9½in (2cm) from the Service Iconographique Français, painted with a portrait of Nicolas Poussin, which last appeared at auction in Sotheby’s New York in 2012. At Lempertz it has an estimate of €6000-8000.